The Holy Family or Critique of Critical Critique. Against Bruno Bauer and Co. This is the first book where Engels and Marx worked jointly. Marx and Engels expected mass change in society. He implemented the idea of “Man should free himself”, capitalism, labor, proletarians, Critical battle against French materialism, his philosophy of West-European materialism, etc., Ludwig Feuerbach hugely influenced the idea of materialistic views. He related the religion should be replaced by science and human's historical development. This book contains more subjects of metaphysics and criticizing the Germanic-Christian, critique of Bruno Bauer and religious powers. 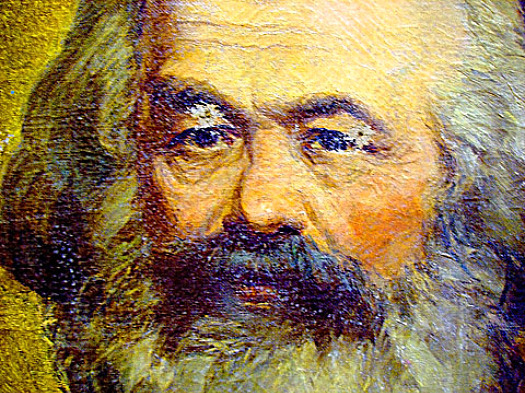 Marx went through many industries their beliefs and customs which they need to throw out and put scientific measures to develop their industries. He provided many examples of superstitious and waste methodologies which increasing the time and spending the money in those industrial eras. He taught us that master and employee details, how employer should treat his employee. Employee didn't want to greet his master too long, wasting his long salute to show his obedience towards master. He said that criticizing everything can provide new knowledge which can create the new world. He demands the organization of labors which can creates the interconnection and trying the new methodologies to work. He criticized the love that man in unquestionable towards feminine. He wanted that man have to question the woman, outcome of the debate should creates the bonding. Not because lord said, Increase and multiply to show the lust, we should show the sensual love. Calling outspoken people in French revolutionist are banned, he criticized that event he said that will be unfair and threatening the freedom of speech. He found that Roman law of Master and slave policies should be reviewed and scientific notation and laws are to be created for working class.